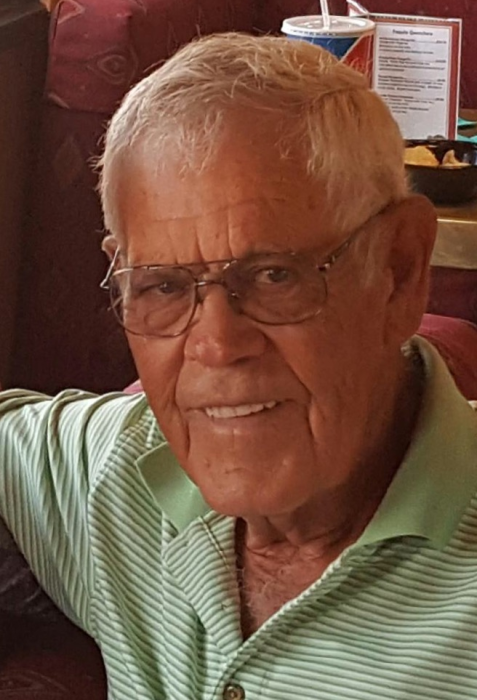 Charles N. “Chuck” Hoffman, 85, of Decatur, IN passed away November 26, 2018 at St. Joe Hospital. Chuck was born in Adams County on May 13, 1933 to the late Otto W. and Verna F. (Owens) Hoffman. On October 23, 1954, he married Eileen Funk. Chuck attended St. Luke Church and also attended the Church of the Psalms in Sun City, AZ. He retired after 28 years as principal for Fort Wayne Community Schools; was a life member of the Indiana Principal Association and National Association of Secondary School Principals. Chuck served his country in the Korean War in the United States Navy. Survivors include his wife of 64 years, Eileen Hoffman of Decatur; two sons, Rick (Cheryl) Hoffman of Johnstown, CO and Gary (Diane) Hoffman of Rocky Mountain, VA; a daughter, Cathy (James) Young of Harvest, AL; two sisters, Dorothy H. Beeler of Decatur and Virginia L. Gase of Ft. Wayne; six grandchildren and 10 great grandchildren. Chuck was preceded in death by three brothers; Dale, Tom and Kenneth Hoffman and a sister, Phyllis Winteregg. Visitation will be from 1:00-2:00 p.m. Wednesday, November 28, 2018 at Woodcrest Porter Auditorium and also 4:00 – 6:00 p.m. at Haggard-Sefton-Hirschy & Zelt Funeral Home, followed by a 6:00 p.m. funeral service. Officiating will be Pastor Gary Hoffman. Burial will be on Thursday, November 29th at 10:00 a.m. in St. Luke Cemetery. Memorials are to Faith Fellowship Church, Wirtz, VA.